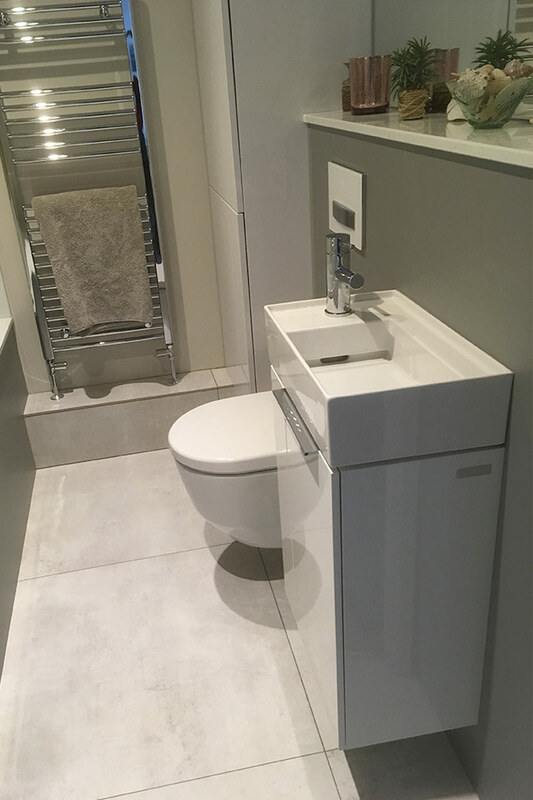 The space in this recently completed Cirencester bathroom project was compact to say the least. 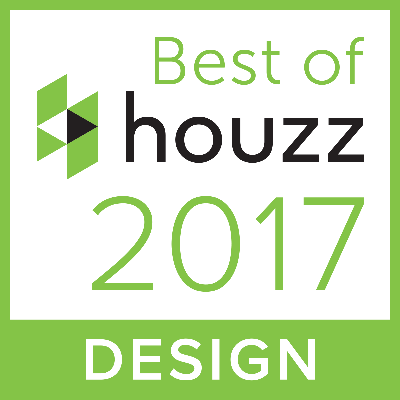 However with some careful planning we were able to design a bathroom with lots of hidden storage and also fit in a full size bath. Originally the boiler was exposed and looked ugly. 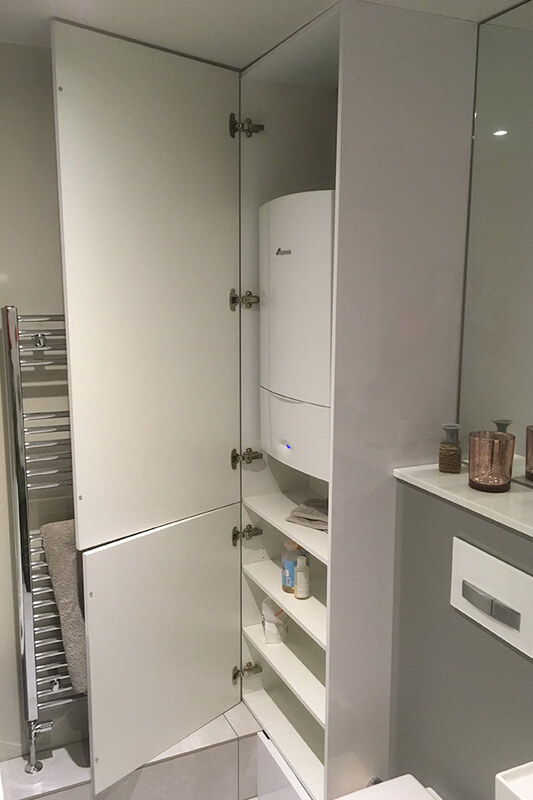 We built a new cupboard to hide the boiler and provide some additional storage. The large mirror makes the room feel much bigger than it is and also feels more open when you are in the bathroom with the door shut. 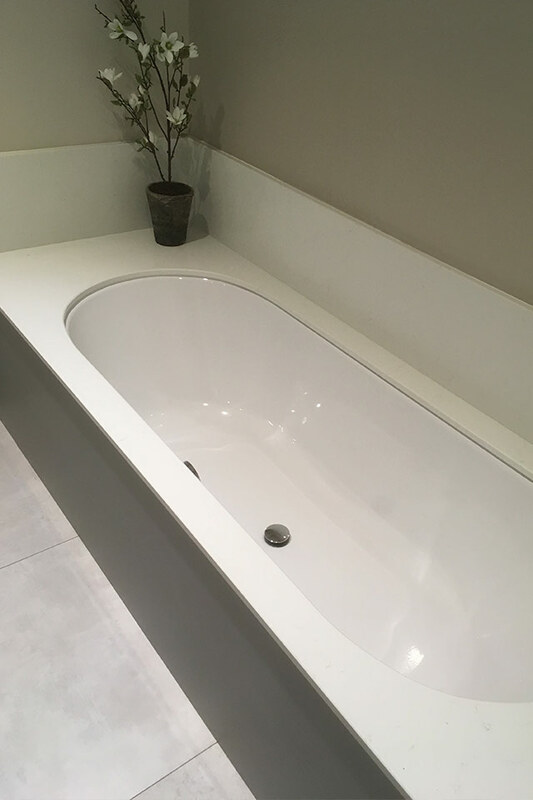 The composite, one piece Silestone bath plinth gives a beautiful finish to the enamel steel bath. 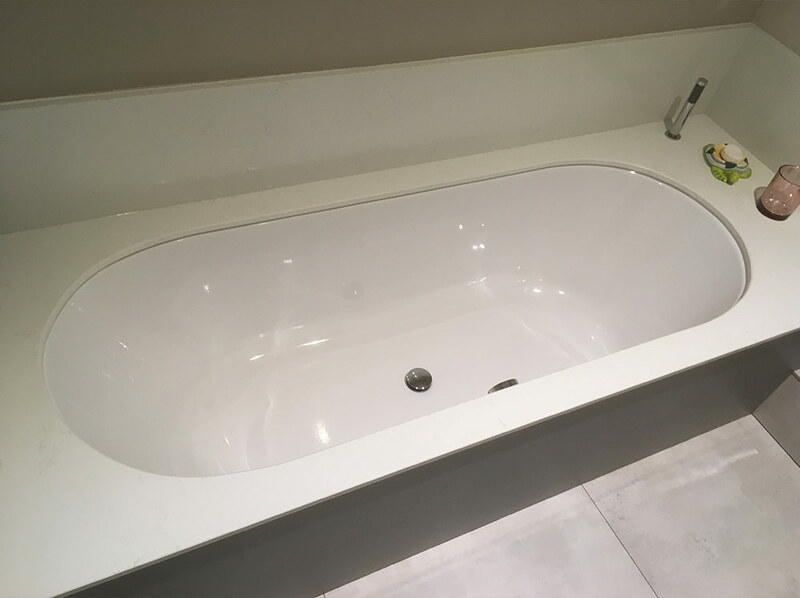 And this bath has lots of hidden storage inside it. 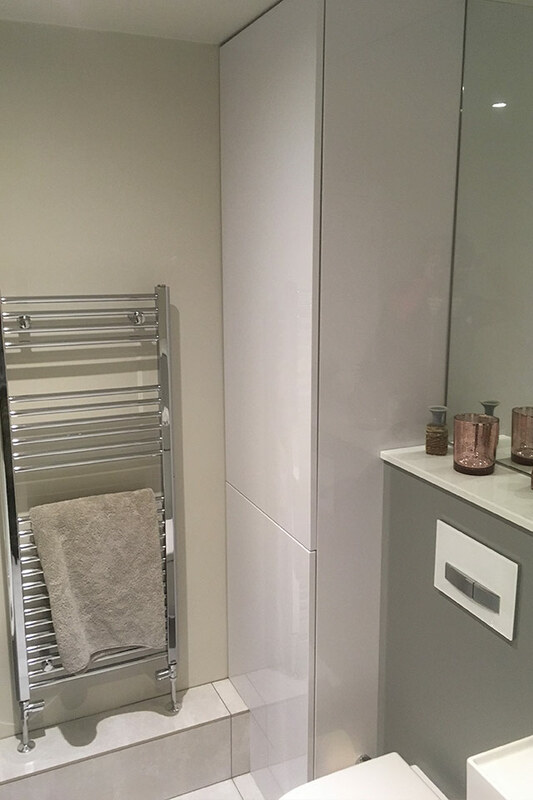 The flooring is large format porcelain tiles in a pale concrete matt finish. This compliments the grey paneling behind the toilet and on the front of the bath. 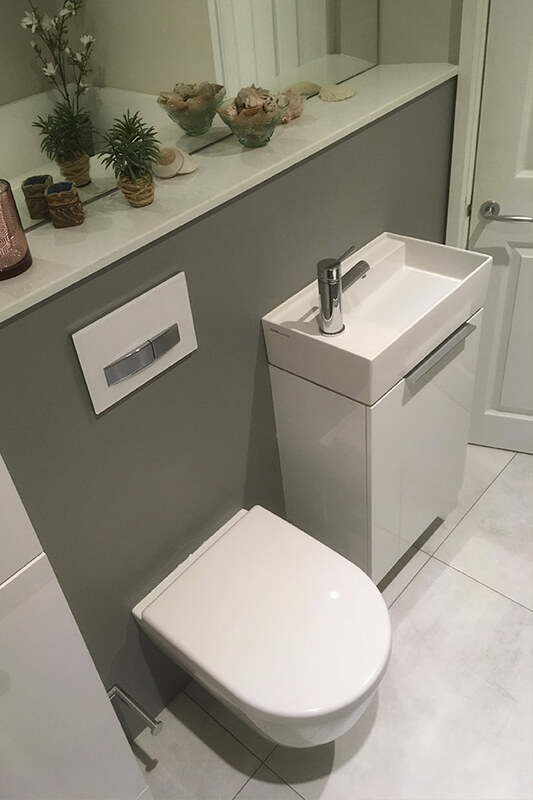 All in all a stylish bathroom with lots of usable space.